Instito Compartilhar runs Social Sports Programs, composed of three projects in 42 communities, located in 21 cities and spread across six Brazilian states (Minas Gerais, Paraná, Rio de Janeiro, Rio Grande do Sul, Rio Grande do Norte and São Paulo). The main effort is community building, combining efforts between public and private partners to facilitate the implementation of activities. Currently, 4.2 million children and adolescents between 9 and 15 years old are benefited, mainly students from public schools, including the students in Cidade Jardim. 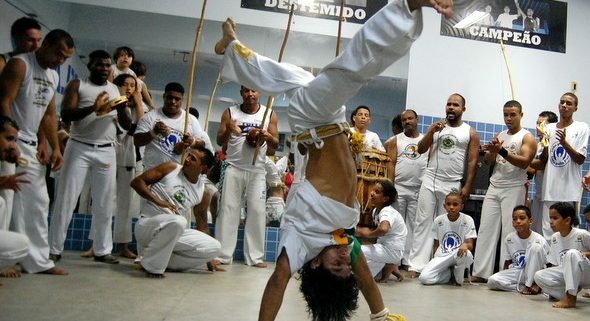 The sports programs teach capoeira and volleyball, and facilitates the coexistence of students from several public schools in the region. In December 2016, 130 students from Cidade Jardim and another community called Afonso Pena, came together for an end of the year celebrations called the Serra Verde Express Christmas Train. 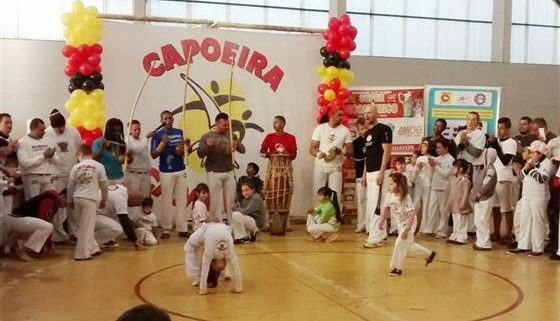 Students in the volleyball and capoeira programs came together to celebrate and try the famous barreado, a typical dish of Parana.